The PREMIS Data Dictionary for Preservation Metadata is the international standard for metadata to support the preservation of digital objects and ensure their long-term usability. Developed by an international team of experts, PREMIS is implemented in digital preservation projects around the world, and support for PREMIS is incorporated into a number of commercial and open-source digital preservation tools and systems. The PREMIS Editorial Committee coordinates revisions and implementation of the standard, which consists of the Data Dictionary, an XML schema, and supporting documentation. The PREMIS Data Dictionary is currently in version 2.2. A new major release 3.0 is due out this summer. This webinar gives a brief overview of why digital preservation metadata is needed, shows examples of digital preservation metadata, shows how PREMIS can be used to capture this metadata, and illustrates some of the changes that will be available in version 3.0. 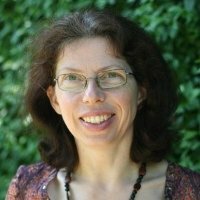 Dr. Angela Dappert is Senior Research Fellow at the University of Portsmouth. She has widely researched and published on digital preservation. She has consulted for archives and libraries on digital life cycle management and policies, led and conducted research in the EU-co-funded Planets, Scape, TIMBUS, and E-ARK projects, and applied digital preservation practice at the British Library through work on digital repository implementation, digital metadata standards, digital asset registration, digital asset ingest, preservation risk assessment, planning and characterization, and data carrier stabilization. Angela holds a Ph.D. in Digital Preservation, an M.Sc. in Medical Informatics and an M.Sc. in Computer Sciences. She serves on the PREMIS Editorial Committee and the Digital Preservation Programme Board of National Records Scotland.